Due to the high number of hospital mistakes and defective medical devices today, many patients end up leaving the hospital even sicker than when they entered. Our expectations when entering the hospital should be that we will treated with dignity and respect. This should be a given. This is very important…so important that a recent national Consumer Reports’ survey of 1,200 patients showed that being treated with dignity and respect while in the hospital directly correlates with patient safety. According to Consumer Reports, every day almost 2,000 people on average pick up an infection and about 1,100 preventable errors occur. Hospital medical errors are linked to 440,000 deaths annually. Preventable errors. Taking the following actions when you or a loved one find yourselves checking into the hospital just might make the difference between life and death. Do not feel like you are being a “pest” by asking questions and having concerns. Staying silent because you are worried about being labeled a “difficult patient” by the staff can be quite dangerous. Be persistent when it comes to making sure you understand everything you are told, and discuss unclear information with staff until you have a thorough understanding. Tell a nurse how much pain you’re in, ask about recommended procedures and tests that are being run, and make sure you understand the side effects of the drugs prescribed to you. Research from the American Journal of Managed Care showed that those who received satisfactory care were much less likely to return to the hospital within 30 days of being released (after heart attacks, heart surgery or pneumonia specifically). Do your research and choose the hospital you feel offers the best care. Help healthcare providers see you as more than just a patient or a diagnosis. Share stories with them about your family and talk to them about your personal life and who you are outside of the hospital walls. This can break down walls that may be up between the medical staff and yourself. With doctors and nurses using electronic devices to look up information and enter information they gather while speaking with you, they seem to rarely make eye contact. This can make us feel hesitant to ask questions for fear of interrupting the doctor or nurse. Ask them to sit down and speak with you. People report that they feel they have received better treatment when they have somebody with them, whether it be an advocate or a family member. It’s also important to have somebody with you to make sure everything the doctor explains is completely understood by you and you advocate. Let’s face it, we would all like to avoid hospitals, and are very lucky to go a lifetime without some type of experience in a healthcare facility. If you watch out for yourself when we enter these walls, you will have a much happier and healthier experience. In fact, it may mean the difference between the life and death of you or a loved one some day. Pain pill addiction and overdosing have become an epidemic in the United States. In many instances, serious injury or death occurs when mistakes are made by those who are taking their pain medication prescribed to them for the right reasons, and not abusing drugs in any way. Some of these mistakes are, unfortunately, causing accidental deaths that could be avoided. I came across an article on WebMD recently that touched on some pain medication mistakes that people commonly make. The list was compiled by pharmacist Kristen A. Binaso (spokeswoman for the America Pharmacists Association), and pain specialist Eric R. Haynes, MD (founder of Comprehensive Pain Management Partners in Trinity, Florida). The belief that if one pill feels good, two must be better. Only take the recommended or prescribed dosage of medication given by your doctor, or you could suffer serious adverse effects, or even death. Another common mistake is taking another type of pain pill in an attempt to rid pain. Certain combinations can be deadly. Duplication overdosing. People who take over-the-counter drugs or prescription drugs without reading the label are putting themselves at risk for injury. If another drug is taken, and you don’t realize you are doubling the dosage of an ingredient by taking this other drug, an overdose could occur. Drinking while taking medications that warn against it. If the label on your prescription medication displays a “no alcohol” symbol (an image of a martini glass with a slash through it), you should avoid drinking beer, wine or liquor. Drug interactions. Before you take a pain pill, you need to be aware of any other medications, herbs or supplements you are taking. The wrong combination can be dangerous, and possibly even deadly. Talk to your pharmacist and make sure your doctor knows all medications you are taking before another is prescribed. Drugged driving. Avoid driving while taking pain medication. You are risking your life and the lives of others. Sharing prescription pain medications with family or friends. Unfortunately, this is quite common and can be very serious. The person you share with may have a problem or an allergic reaction to the drug you give them that you may not be aware of. This could be life threatening. Not talking to the pharmacist about your medication. Ask your pharmacist if there are any symptoms you should look out for while taking your medication. Reading the labels on pill bottles can be confusing and your pharmacist can clear up any questions you may have. Keeping expired drugs around. Were you aware that once pills pass their expiration date, they begin to break down? 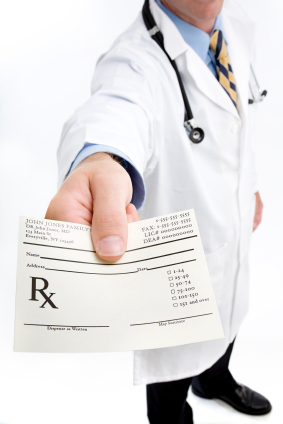 Taking outdated medication is a common mistake that lands many people in the emergency room. You could have a negative reaction to a breakdown product that can be very dangerous. Throw out unused, expired drugs. Breaking unbreakable pills. When pills are dismantled the incorrect way, the pill may not work, or it may harm you. If a pill doesn’t have a score mark across it, don’t cut it! It is my hope that you maintain open lines of communication with your doctor and your pharmacist so that you can take the precautions necessary for taking medication safely. Do your research, be aware of the dangers, and avoid these nine mistakes that can mean the difference between life and death. Even if you have been legitimately prescribed medication, it’s important to know how to safely use the drugs. Knowing how to use medications properly is the most appropriate way to improve both your short-term health and your long-term wellness. Always consult your physician before making any medication changes suggested in this article. 1. Keep a written record of all drugs you are currently taking and show this to your new doctor. If you are going to work with a new doctor or it has been awhile since you have talked with your physician, bring a list of all the medications you take on a regular basis whether they are over the counter or prescribed to you. This can aid in the prevention of drug interactions. The purpose of scheduling such a consultation with any new doctor is have an ongoing list of all the medications that you are using, the dosage information, and how those drugs are working for you. Filling out the drug medication worksheet and speaking with your doctor and a regular basis about your regimen is helpful for determining whether medication you are taking is healthy and/or absolutely necessary. The majority of prescribed medications are for treating short-term conditions. It may be possible that you have recovered from your issue enough to wean yourself off the drugs. For example, suffering from depression might only require short-term treatment with medications, and could perhaps be treated in the future by speaking with a counselor or friends, among other options. Always discuss this with your doctor before making any medication changes. Particularly for older adults, it’s in your best interest to start with the lowest dosage of medication as possible. A lower dose will not cause as many adverse effects, and you may still be able to get all of the benefits of using the medication simply by starting with a lower dose. If the initial dose doesn’t work for you, communicate this with your physician. Taking a mix of medications may not be the best thing for you, so if you are adding a new medication to your regimen, consider whether eliminating another one is a wise step. This can also help to reduce the chances that you will experience adverse effects from combining the medications you are taking. Set up a meeting with your physician every 3 to 6 months to talk about the need for continuing each drug that you’re currently taking. For drugs that can affect the mind, such as tranquilizers, antidepressants, or sleeping pills, it’s a good idea to schedule these consultations even sooner. Some adverse effects of medications happen because they are taken far longer than needed. Stay on top of your situation to reduce the chances that this will happen. Keeping a journal and a list of medications that you are taking, as well as the side effects you are experiencing, is a good idea to determine whether reducing a dosage or eliminating a drug can help stop negative symptoms. When you start a new medication and experience an adverse effect, report this to your doctor soon as possible. Never leave your doctor’s office without ensuring that you are completely clear on all of the dosage information related to a medication. The opportunity for an adverse reaction to occur is frequently high enough that it’s important to make sure that another family member or individual is in the loop as well. Don’t hang on to all medications and assume that they can be reused. Your condition may have changed, or the quality of the drug may have deteriorated, so you should always safely discard old drugs. Seeing a new specialist? Make sure that other physicians or caretakers you are working with are in communication with your primary care doctor. This can reduce the instances of adverse reactions or problems with taking multiple medications for pursuing separate treatments. When used properly, medication can be helpful for reducing symptoms of ongoing problems or treating other conditions. Follow the tips above to use your medication safely. For more information on prescription drug safety, download my free resource, Prescription Drug Safety: 10 Secrets the Pharmaceutical Industry Doesn’t Want You to Know. It’s no surprise to learn from the Centers for Disease Control and Prevention that opioid overdose deaths have increased so much that they now exceed overdose deaths of heroin and cocaine combined. Death certificates from 28 states were analyzed and a report was published in this week’s Morbidity and Mortality Weekly Report that explains how the data was analyzed. The report tells us that the number of opioid overdose deaths has nearly caught up to the number of motor vehicle deaths (the number one cause of injury death in America) in the United States. Heroin abuse is also on the increase. Most of those who abuse heroin have used opioids at some point in their past prior to their heroin use. Heroin is an opioid and they both produce similar effects, which explains why they are both abused by opioid addicts. Heroin is becoming much more readily available and is cheaper than pain pills, so many users turn to heroin because of this. Knowing this, why are doctors continuing to overprescribe opioids? One major reason is that they are not being held accountable for their actions. The responsibility placed on health-care providers is to only prescribe opioids for carefully screened and monitored patients when all other pain treatments have been exhausted. This is not what is going on, however. The CDC report referred to above states that the increase in heroin deaths from 2010-2012 is directly related to the increase in the opioid death rate. It also states that not only do we need to stop the overprescribing opioids, we need to help those who are addicted before it is too late. Doctors must examine patients more closely to determine whether there has been addictive behavior in the patient’s history. They also must monitor patients closely rather than quickly prescribing opioids as a band aid to cover up the real source of a patient’s pain. People are dying in increasing numbers needlessly because of this irresponsible behavior. States are responsible for regulating health care practices like these, and they must monitor and remedy the overprescribing frenzy that has overcome us as a nation. They have tools readily available to them that can help them identify health care facilities that are illegally prescribing opioids. Medicaid can use economic measures to take action and hold providers accountable. State professional licensing boards can take action against doctors who are misusing their licenses. Law enforcement agencies can take action against illegal activities. Policies can be put into place to prohibit “pill mills”. All of these interventions are available, yet people are still needlessly losing their lives. Van Wey Law fights for clients who have lost their lives because of irresponsible doctors who are prescribing opioids when they are not needed. If you have lost a loved one from an opioid overdose because a health care facility or doctor irresponsibly prescribed the medication, you can receive compensation for your pain and suffering. More importantly, you can help to bring this reckless behavior to a halt and save lives. Call Kay Van Wey today for a free consultation. Every year in America, around 440,000 people are killed as a result of preventable medical errors. Many suffer serious injury due to medical negligence. This is a fundamental problem that has become an epidemic in this country. Preventing these errors would not only save lives, it would lower health care costs, reduce doctors’ insurance premiums, and protect the health and well-being of patients. Quanisha is just one of numerous examples of the damaging errors occurring in hospitals throughout the United States. She underwent a routine surgery to remove a goiter in her neck in a Little Rock, Arkansas hospital. Within 12 hours she became short of breath and felt her neck tightening up, and she relayed her worry to the nurses. Her condition was never reported to the physician, nor was she monitored, and she soon began having seizures. She suffered severe brain damage, is bed-ridden, and will need constant care and supervision from her mother for the rest of her life. Doctors later found that she suffered a preventable blood clot that could have been taken care of, had she been properly monitored. Stories like these are far too commonplace today. Medical errors are the third leading cause of death in our country. They cost our country tens of billions of dollars each year. Despite these horrors, there are Congressmen and state legislatures working very hard to limit the accountability of hospitals and medical staff for their negligence. Our civil justice system provides a way for families of deceased loved ones in these cases to have access to accountability. It also serves as an incentive to the health care industry to improve patient care. When accountability is removed, people will be at even more risk of death or injuries. One in three patients who are admitted to the hospital will experience a medical error (Health Affairs). Wrong site surgeries and procedures, or “never events” are happening at an alarming rate of up to 40 times per week in American hospitals (Archives of Surgery). These errors can include mistakes such as missed diagnoses, the use of incorrect or unproven treatments, mistakes in surgery and drug prescribing, and preventable problems such as bedsores, which can lead to infection and death. Strategies offered to medical facilities and staff include actions as simple as hand washing. The epidemic of patient harm must be taken more seriously. Patients must be fully engaged with advocates during their hospital care and must use their voices to report and identify harm that’s been done. Only then will those who have risked lives by being negligent be held accountable. Prescription drugs and overdoses have been getting a lot of attention in the media lately, and for good reason. A little bit of work ahead of time can make life a lot easier by reducing the number of people abusing prescription drugs. One tactic that is getting a lot of attention is one that requires doctors to verify the patient’s medical history before giving them any new narcotic prescriptions. Initially the program, which was launched in Kentucky, got a lot of criticism from doctors who argued that too much time was wasted with this process. But this added time on behalf of medical professionals has good consequences for reducing drug-related abuse and death. The program was geared towards helping to cut down on the number of abusers known as “doctor shoppers” who hop around to different physicians in the hopes of getting more drugs. Initially, doctors believed that they didn’t need an online database to help them avoid giving prescriptions to this kind of abusers, but apparently the use of the program has really helped. In the first year of the mandatory checks, the volume of drugs being prescribed by doctors dropped significantly. Many of the major prescriptions popular among abusers, like Hydrocodone, Oxycodone, and Alprazolam all experienced big decreases across the state. The program seemed to help with the exact problem it was designed to combat: specific “doctor shoppers” who pick up multiple prescriptions from numerous physicians in the hopes of spurring on an addiction. With an electronic record of who has requested and received certain types of medications, doctors have been able to avoid giving out multiple scripts for patients who don’t really need it. There’s good news out there for the patients who do need it, too. Some patients truly in need of pain or other medication were previously looked at with a watchful eye. Doctors were trained to be suspicious of any patient appearing to need pain medication or suggesting symptoms that would warrant such medication. Now, a patient’s medical history with no flags ultimately makes it easier for legitimate individuals to get the help that they need. After the success of the program in Kentucky, Oklahoma lawmakers are now considering their own version. The state already has one of the nation’s highest rates of overdose deaths and prescription abuse. Two years ago, half of Oklahomans who died in drug overdose incidents were taking pills prescribed by doctors. Mandatory check requirements certainly are not without critics. Oklahoma lobbyists and doctors have been pushing off such a program for a few years. They argue that the program would be expensive and time-consuming, ultimately causing problems for all patients by generating delays and causing too much red tape. That opposition isn’t holding too much promise, however, since the Governor is now considering at least making some of the most heavily-abused narcotics are listed in a database. Even small measures could help to reduce the epidemic of prescription drug abuse. Past research backs up the idea that relying on an inner sense of whether or not someone is a doctor shopper is not sufficient. Many physicians give prescriptions to the people who truly don’t need them. Kentucky may see a decrease in overdose deaths for the first time in a while, thanks to the new program. The online database isn’t the only component of the program, either. There are stronger efforts to wipe out “pill-mill” clinics that were not owned by doctors, and had a reputation for passing out prescriptions when not needed. In addition, more training and educational opportunities were given to physicians about pain management and addiction. The bottom line seems to be that the mandatory prescription checks were the most effective at cutting out pain pill abusers. Kentucky is not alone, as many other states are looking into ways to combat the rising prescription drug abuse problem effectively. Tennessee mandated that doctors verify the prescription drug database back in 2013, along with New York. Ohio has been requiring narcotic prescription history from physicians since 2010. This appears to be one of the most effective ways to root out potential abusers while still allowing legitimate patients to get access to the medications they need. By limiting how many abusers can visit one doctor, and then another, to rack up multiple prescriptions of the same medicine, one of the biggest epidemics in the country is finally being addressed. Prescription drug abuse and overdose is a nationwide problem that is finally achieving some resolution. We are seeing plans at the state level to target abusers and make it difficult for them to get access to medications. Oklahoma and other states are expected to follow the lead Kentucky has taken by making doctors check prescription history more often in order to reduce abuse. This is good news for everybody. Through my experience, I have become educated about the inside secrets of the pharmaceutical industry. I have learned through helping clients who were victims of medical malpractice, defective drugs or medical devices, and other serious personal injuries and wrongful deaths. The sad truth is, unfortunately, we cannot place our health in the hands of large corporations, and in particular, pharmaceutical corporations. The truths I have discovered prompted me to write my book Prescription Drug Safety: Secrets the Pharmaceutical Industry Does Not Want You to Know so that I could pass on the insights I’ve gained. My hope is that by sharing this knowledge with you, you can equip yourself with awareness that will spare you or one of your family members from avoidable suffering. The resource I’m offering is free, and by clicking here, you can have it immediately delivered to your inbox, and be on the road to protecting the health of yourself, your family, and your friends. It’s a quick, easy read that will empower you with vital information that you can pass on to others. Van Wey points out that, at one time or another, we are all patients. We must be able to hold hospitals accountable. Taxpayers should be outraged that their tax dollars are being spent to protect hospitals who allow dangerous doctors on their medical staff. We need to rely on hospitals to put patient safety before profits.